So I was in the elevator of my building the other day when an old lady walked in. We chatted. Then she asked for my profession. “I’m a professor at the University of Ottawa,” I said. In other news, one of my students (you reading this, Jenny?) recently bought a used copy of my first book off the Internet from a source in the USA. When she gave it to me to sign, I was surporised to discovered that I had already signed it… ten years ago! Not only had I signed it, I had added a personalized note to the ingrate who clearly did not appreciate my efforts. I have vague recollections of who it was: some British balloonist. Seriously, a balloonist. Well, I got over my huffiness and have since learned to appreciate the synchronicity that brought my signed book back into my hands ten years later. 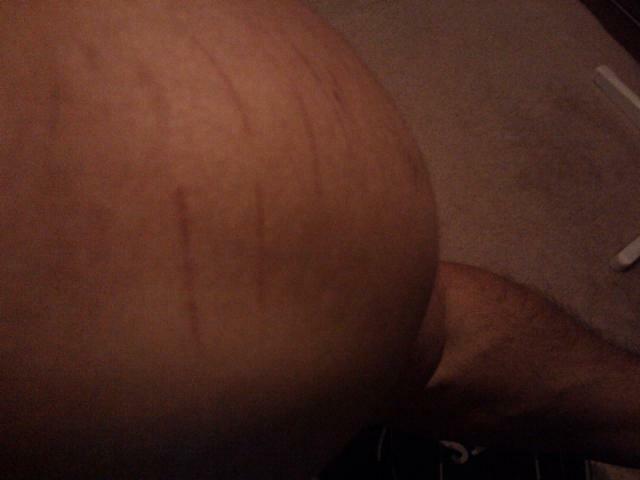 The rabble on Facebook thinks these are stretch marks. They are not. They are scabbed over scratches. The mystery persists. What else? Nuthin’. Oh yeah, apparently I’m speaking at the Climate Justice “Teach-in” tonight at the University of Ottawa campus. Check out my news link for details. Now, despite what the image suggests, I will not be having underage girls on my lap. Nor will I be dressed as Uncle Sam. Oh, and apropos of nothing…. today is Osama bin Laden’s birthday. Make of it what you will.